ZJ40K drilling rig,on the derrick is equipped with 270 rotating, lifting arm with derrick hydraulic winch to lift the surrounding equipment and tools. The high pressure on the derrick riser for double riser, high voltage switch valve manifold group under you derrick nakedness, which can realize the kill, cementing, grouting requirements. Top riser with maintenance platform for riser and hose installation maintenance. 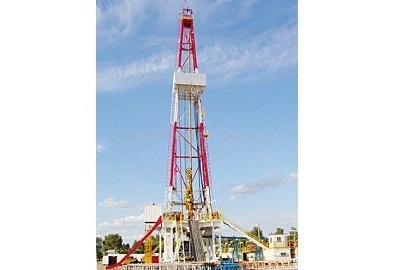 Take out and put in a hydraulic drill pipe box drill pipe, greatly reduce the labor intensity. Drill pipe concentrated reduce vehicle transport. Design embodies the requirements of HSE.